Have you ever wondered why so many commercial buildings in Toronto have flat roofing? It’s simple—a flat roof is more attractive and cost-effective. 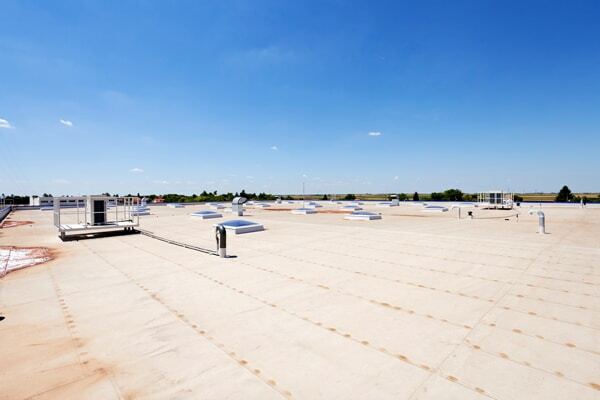 If you are changing your commercial roofing, consider the many benefits of having flat roofs. Cleaner look: The flat look is structurally more attractive. Cost-efficient for new construction: Installation is cheaper than a sloped roof; less material is required and it can be completed faster. Can be inspected at any time: These roofs are easier to inspect and you can check throughout the year instead of waiting for warm weather. Identify small issues before they turn into expensive roof repair jobs or early replacement. Create usable space: Flat roofs provide more usable space both above and below the roof. 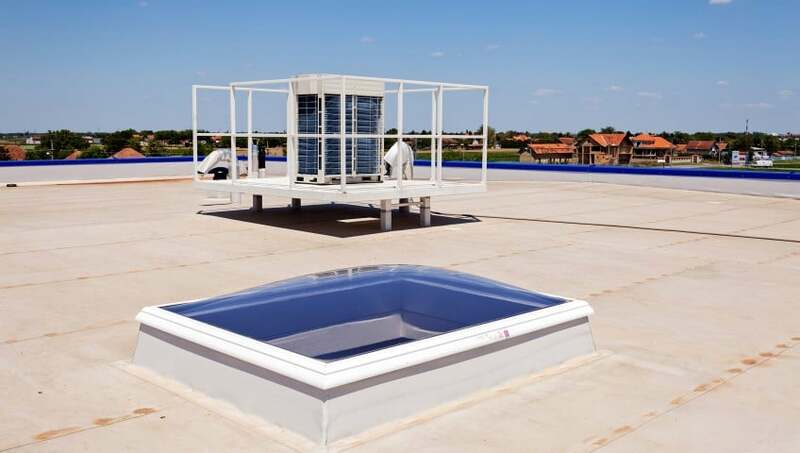 You could have space for a rooftop restaurant or create a beautiful green area on the roof that would also significantly reduce your cooling bills. Many property owners also accommodate HVAC equipment on the rooftop or use it as storage space. Low maintenance, easy repair: Commercial flat roof repair and maintenance is also simpler. Easy access and fewer complications with the gravel and tar system make this type of commercial roofing a smart choice. Durable: Easier maintenance typically means longer lifespan; many flat roofs last for 10 to 15 years. To make the most of your investment, give your commercial roofing the attention it requires. Timely inspections and repair enhance lifespan and help you save on early replacement costs. Improper installation and poor quality materials are the main reasons you may need frequent commercial flat roof repair. Keeping drains clear to avoid ponding and roof damage is equally important, but often a neglected task. Our expert team can help maintain and repair your commercial roofing. With extensive training and experience, we use the best waterproofing and repair techniques to ensure the job is well done. Are you in need of commercial flat roof repair services? Call the experts at Integrity Roofers today at 416-736-7373.